This 2011 Nissan Juke SV features a White Pearl exterior, and a comfortable Black cloth interior. With only 99,000kms, and many options to upgrade your warranty and protections available through our business office, you are covered! This vehicle has been comfortably equipped with push start/stop, sunroof, winter tires, All Wheel Drive, power windows, locks, and mirrors. This vehicle is in excellent condition and is ready for the winter roads! - Free Carfax report - No Hidden Secrets! 1.6L Inline4 Turbo - 4 cyl. 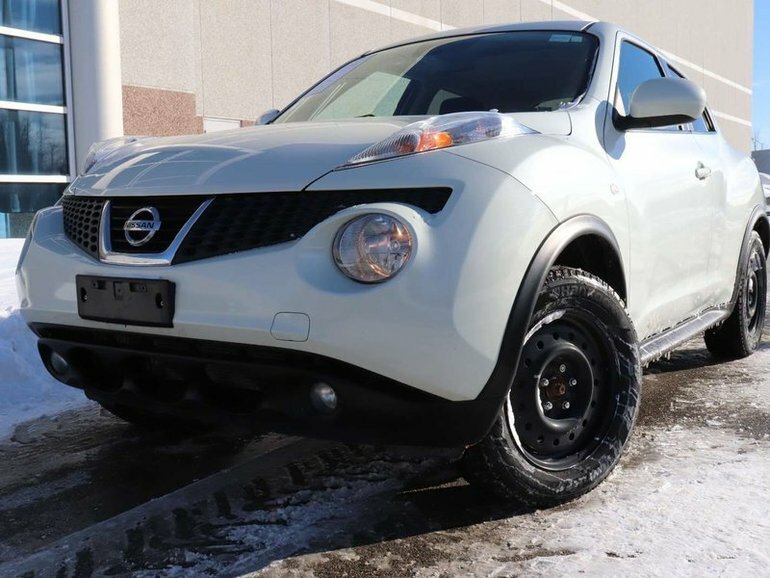 Interested by the 2011 Nissan Juke SV All Wheel Drive Winter Tires Sunroof St ?